Brian P. Campbell is the Senior Vice President, Corporate Development, General Counsel and Corporate Secretary of DHI Group, Inc. He served as Vice President, Business and Legal Affairs at DHI since June 2003. Joining the Company in January 2000, Mr. Campbell is responsible for managing legal affairs, including intellectual property, mergers and acquisitions, strategic alliances, corporate securities, real estate, litigation and employment law, as well as supervising outside counsel. Mr. Campbell also oversees our privacy initiatives. 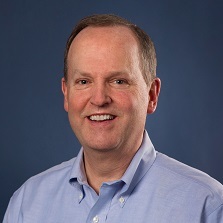 Prior to joining the Company, Mr. Campbell served as Vice President, General Counsel and Corporate Secretary at CMP Media, where he worked since 1995. From 1988 to 1995, Mr. Campbell worked as a Corporate Associate at the law firm of Mudge, Rose, Guthrie, Alexander and Ferdon. Mr. Campbell is the Immediate Past President of the Association of Corporate Counsel - New York City Chapter, where he has served on the Board of Directors for six years and has been a member for over twenty years. He earned a J.D. from St. John’s University School of Law and a B.A. from the University of Virginia.